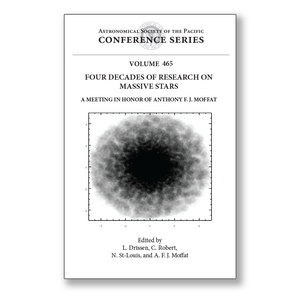 These are the proceedings of a meeting held to celebrate four decades of contributions from Professor Anthony F. J. Moffat to massive-star research. Since his first papers on open clusters in the early 1970s, Tony's research interests have expanded in many directions to cover a multitude of aspects of massive stars, from the nature of their winds to their presence in distant galaxies. All along his very productive career, Tony has worked with a very large number of researchers around the world. A fair number of them attended this meeting, old colleagues and young companions. This field of research is still very exciting and full of surprises! wind models, massive binaries, young open star clusters, massive star formation, and massive star surveys. Nine invited reviews, 51 contributed talks and three dozen posters were presented by observers and theoreticians. Lively discussions, which were held after each topical session, were recorded and are included in these proceedings.